Places to Know as You Go!!! 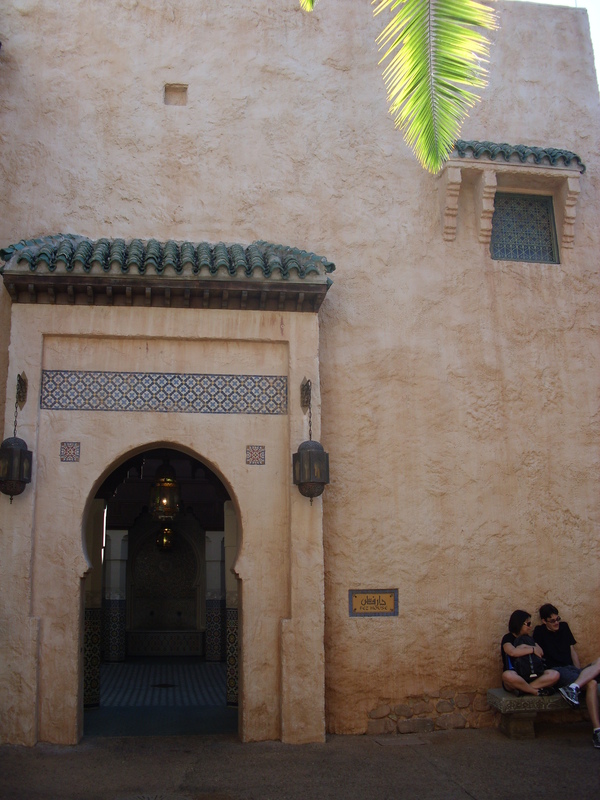 I always look longingly at Morocco as I pass it in the World Showcase at EPCOT, because I usually have zero time to explore my favorite pavilion or a child who is at the end of her rope. Morocco may not have a ride or movie to lure people in, but what it does provide you with is an intimate glimpse into what it may be like to live there. Over the years, I have found The Fez House to be a wonderful escape from the hustle and bustle out on the World Showcase Lagoon. While the outside is plain, once you enter the doorway you are instantly transported to a time and place that is both unfamiliar and comfortable all at once. The walls echo with the sounds of traditional music mingled with the soft flow of water from the fountain, and all around you are details that make you feel like the family that lives there has just popped out to the market. 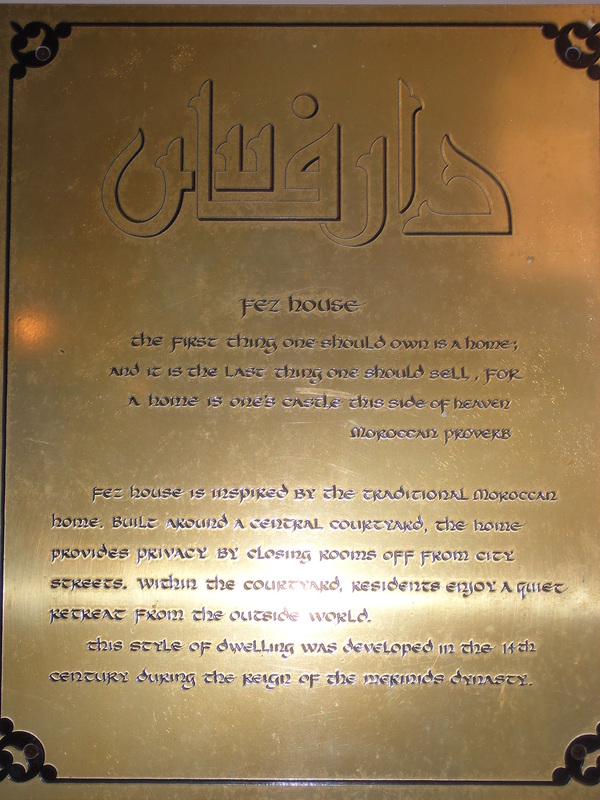 Just to the left of the fountain is a brass plaque that tells you some details and information about not only the design of the house but of how important homes are in Moroccan culture. a home is one’s castle this side of Heaven. 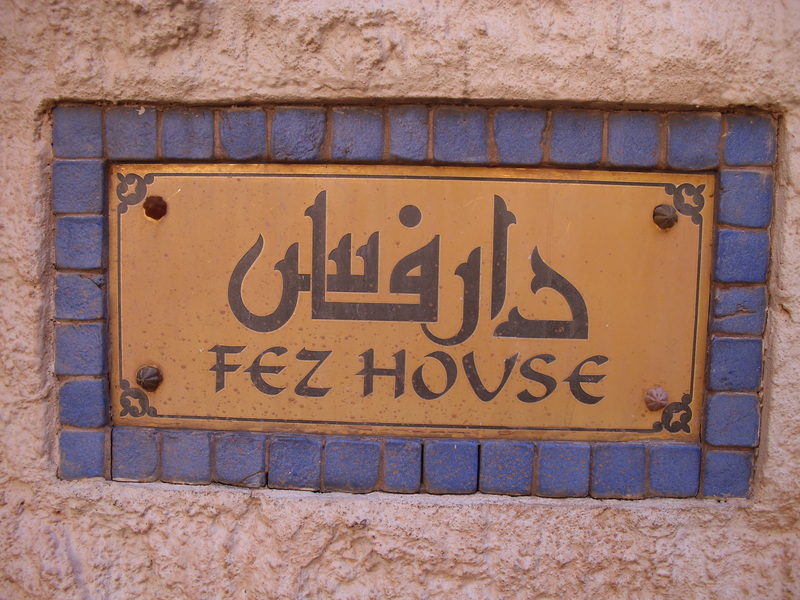 If you ever find yourself needing to take a break from it all, I strongly suggest popping into the Fez House to take a moment to reflect on your day. Wordless Wednesday … Mickey’s Cousins?